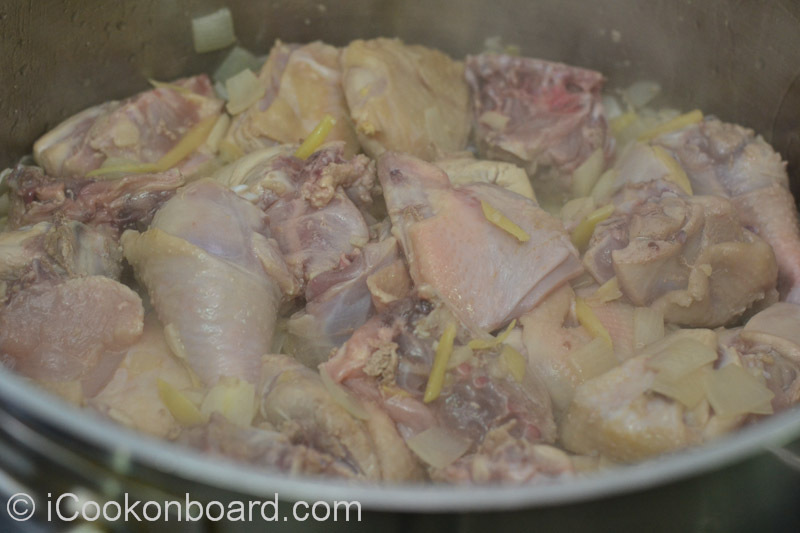 This chicken recipe is an authentic Filipino cuisine. 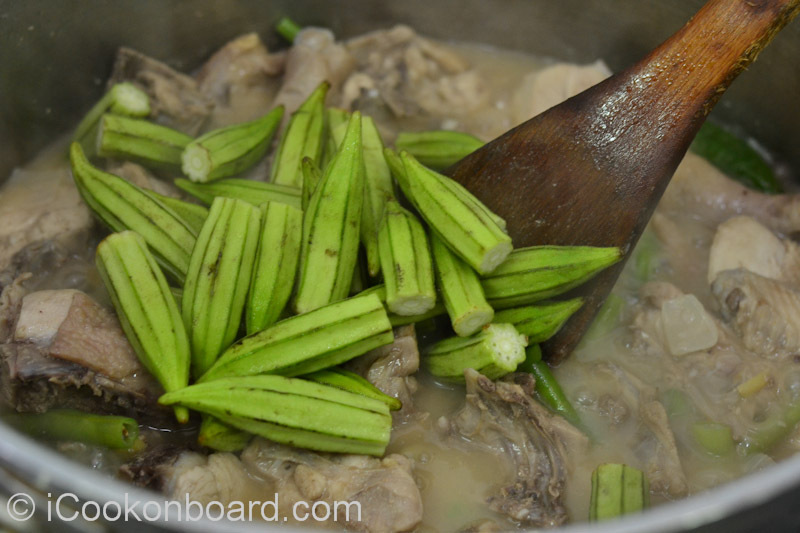 It is a local dish of my home town Biñan, Laguna. 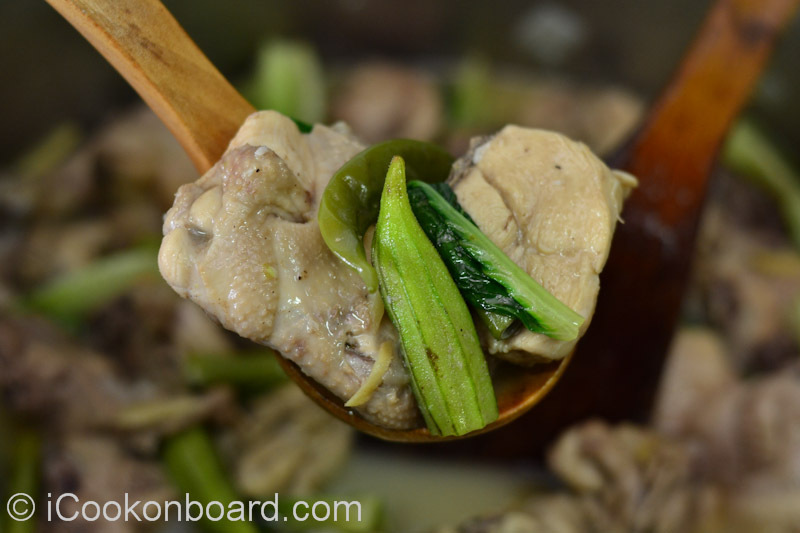 I learn the recipe from “Mang Nanding”, our neighbor and my Dad’s best friend. 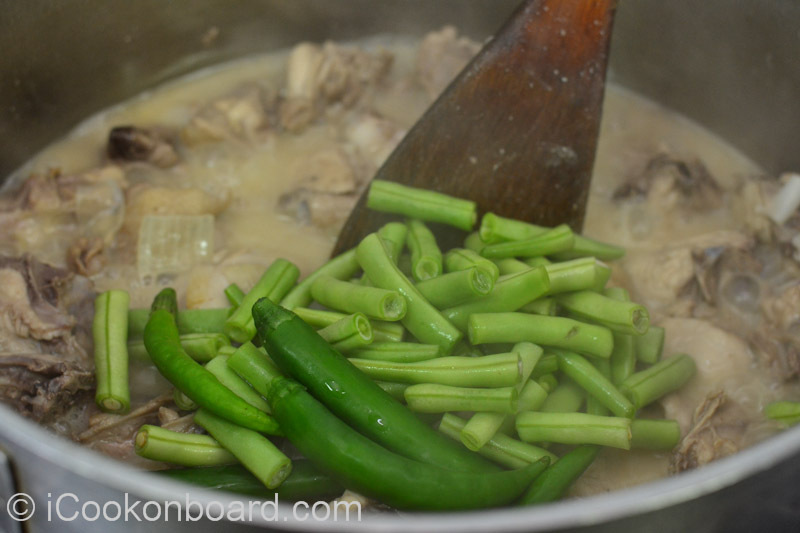 I like creamy coconut milk gravy of this dish and the fresh vegetables with it. 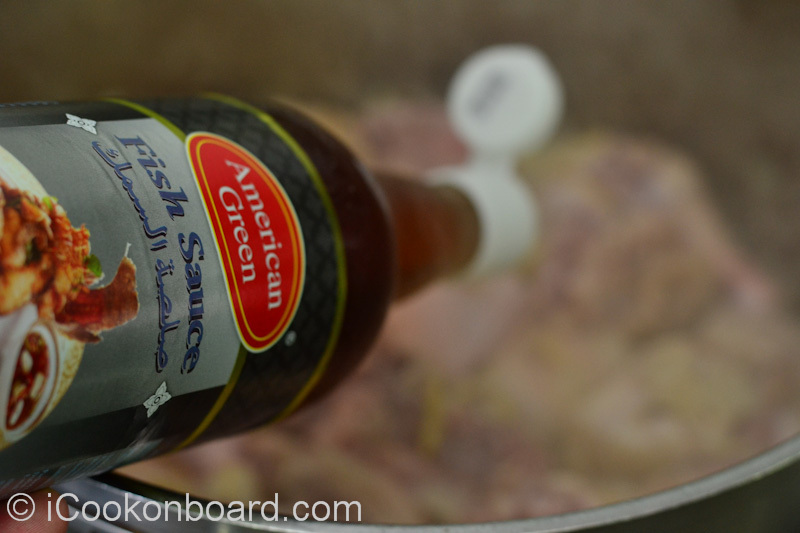 This is something new that I recommend you should try serving to your crew onboard or love ones at home. Heat up cooking oil on a large cooking pot. 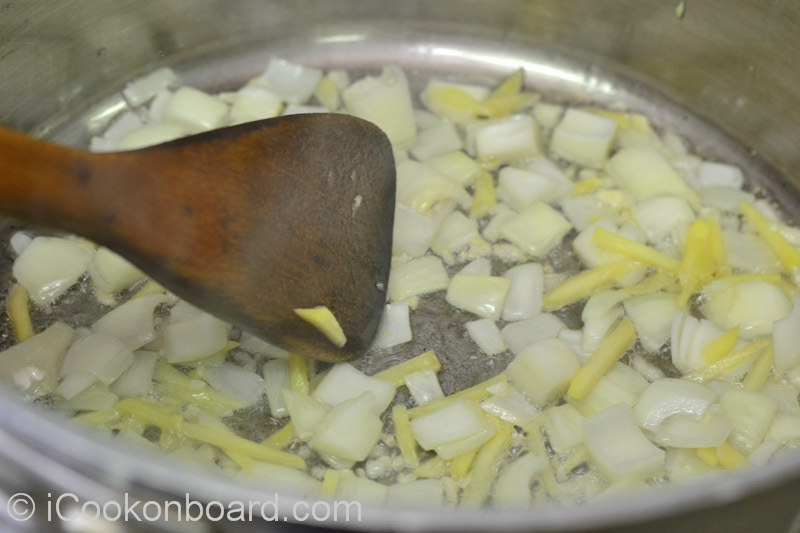 Saute garlic, ginger and onion until fragrant. 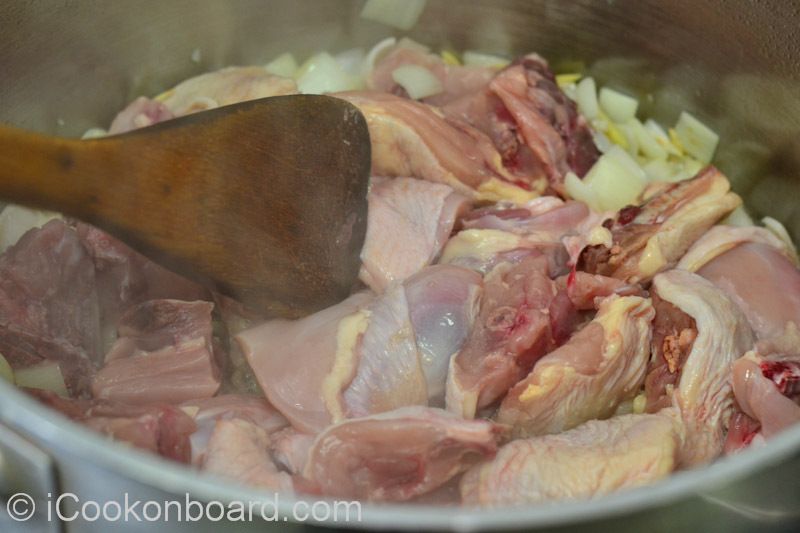 Add the chopped chickens, stir until it evenly change in color. Pour the fish sauce and let it sip in for a couple of minutes. 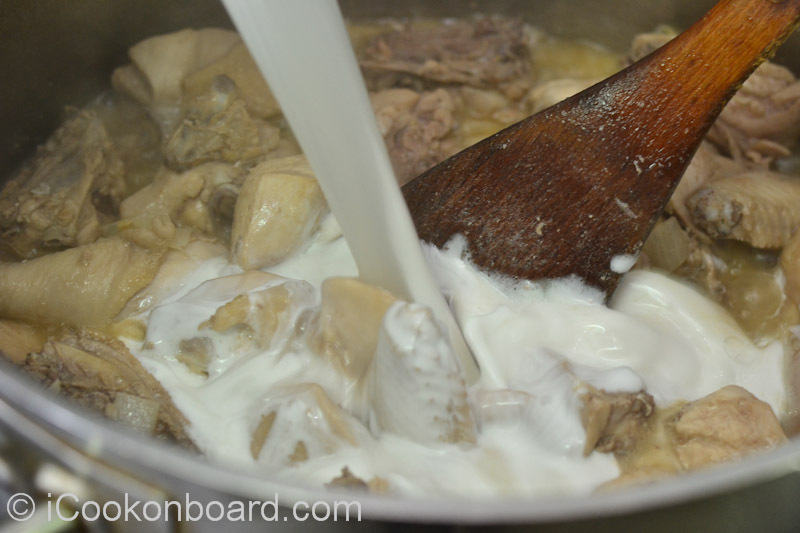 Pour in the coconut milk, cover the pot and let it simmer on medium heat until chicken is tender. 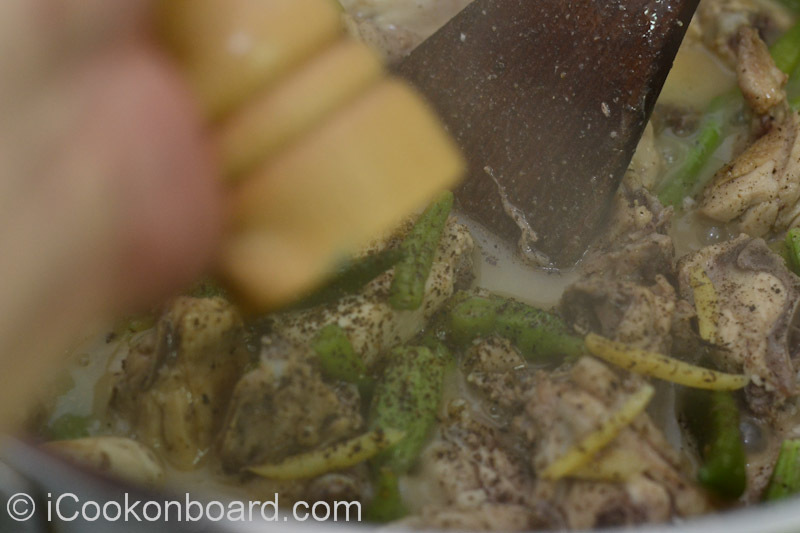 Add the cut beans, green chilli long and okra. Let it cook for few minutes. Season with salt and freshly ground black pepper. Lastly add the cos/romaine lettuce. Heat up cooking oil on a large cooking pot. 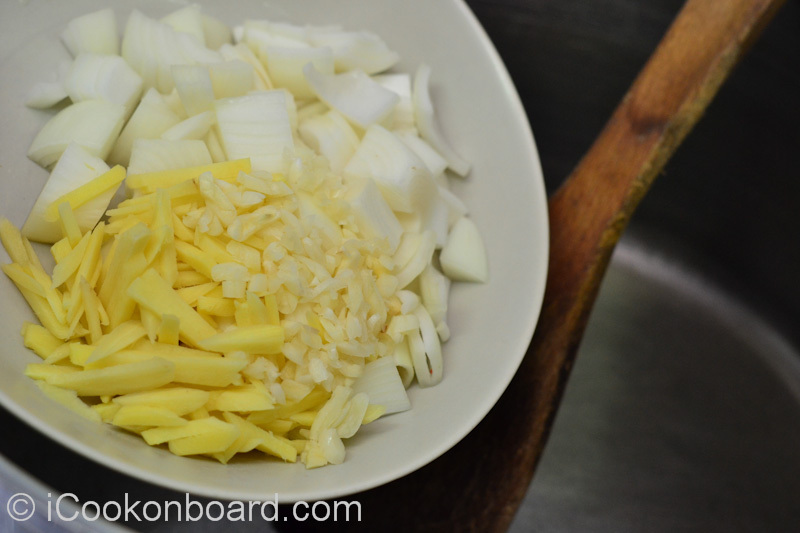 Saute garlic, ginger and onion until fragrant. Stir until it evenly change in color. … and let it sip in for a couple of minutes. Pour in the coconut milk. 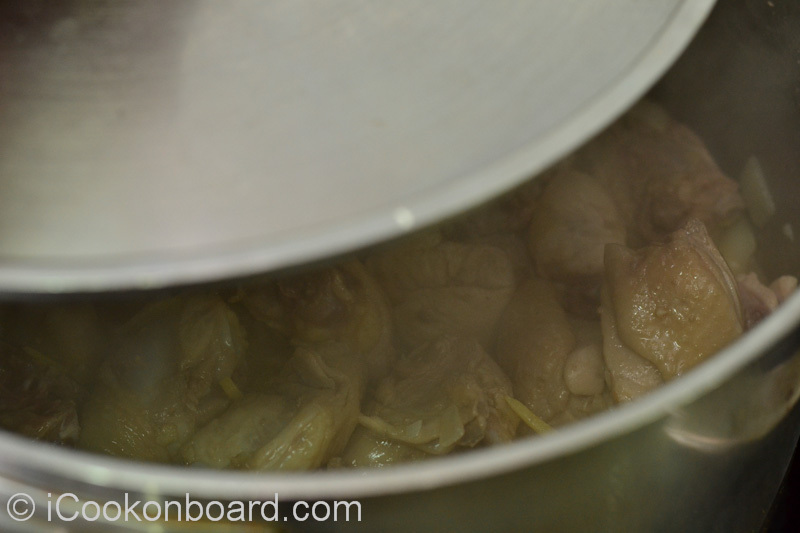 Cover the pot and let it simmer on medium heat until chicken is tender. Add the cut beans, green chilli long. … and okra. Let it cook for few minutes. 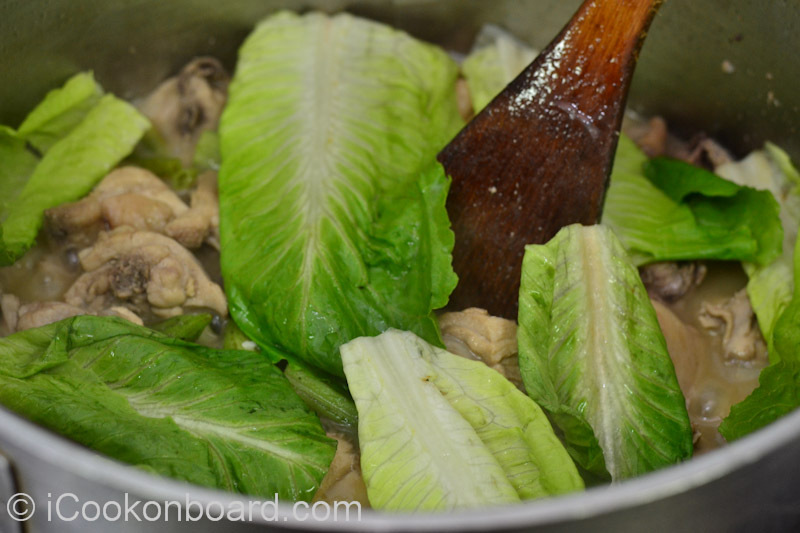 Lastly add the cos/romaine lettuce. 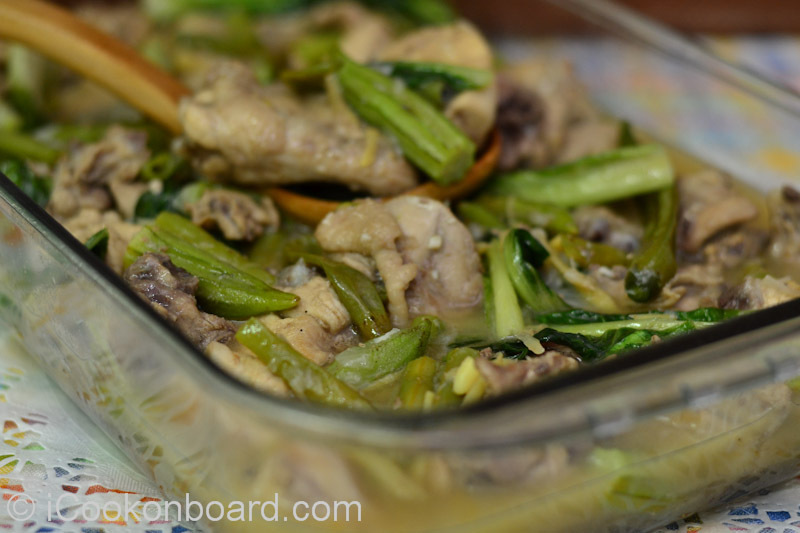 encourage you to try cooking some Kareng Ingles na Manok. You can also follow me on TWITTER, GOOGLE+ and FACEBOOK. *Products that are mentioned/used on this post are for illustration purposes only and do not imply that they are endorsed by icookonboard.com. I am not familiar with this dish, but it looks super sarap. Filipino comfort food-like, even. Yes, most of my crew never had it before but they like it whenever I serve it.